It’s been 6 months almost to the day since I big chopped again. So I thought it would be fitting to share an update on how Fro is doing and what our plans are. In a nutshell, I’m currently more in love with it now than I was a couple of months ago! It’s grown into its cut, for lack of better words and I love how funky it’s made me look. I kept my hair out of styles for a few months and just left it alone. I don’t pull at my edges, and I made sure to keep it moisturised. I think it’s given my hair so much character and I’m really enjoying it. The past month or so, I’ve started playing around with some really simple variations of styles, which I initially didn’t even think I’d be able to do when I first cut it. As my hair has grown back, I’ve had to tweak my routine to suit its changing length and volume. I’m currently co-washing and finger detangling my hair every week after gym. I spray my Daily Spritz and use cream and gel to set it into twists or big braids. This takes me about 15 minutes to do now and I do it on my way home (while hubby drives). When time isn’t on my side, I’ve blow dried my hair a couple of times and then set my twists on dry hair. I like the results of this because it gives my hair more volume. I’m still not a fan of excessive heat on my hair so I don’t do it every wash day and when I do, I make sure to use my heat protectant (I use TRESemmé’s spray) and put my dryer on the lowest heat setting. I either unravel the next morning if I have time but sometimes I grab my head wrap and call it a day. Every other week I shampoo, deep condition and thoroughly detangle my hair. This is still not taking me even a tenth as long as before my big chop and I haven’t yet started washing my hair in sections. A big plus is the amount of product I need for my head, which has also cut down a lot…considering my back and sides are very short. I (cautiously) say that my hair is no longer shedding. I say that because the first month or so after I started noticing my hair loss, I thought it had stopped, only for it to have continued a couple of weeks later. I haven’t noticed excessive shedding for at least 3 months and my hairline is almost restored. 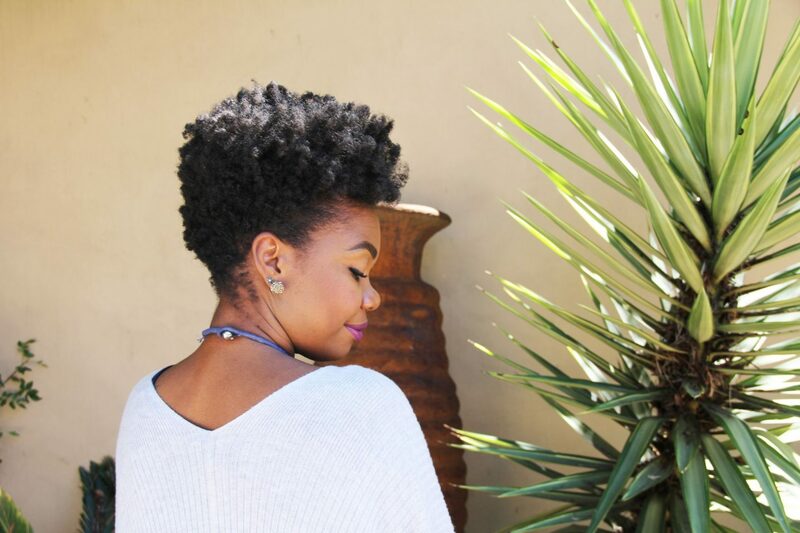 Before I chopped, my hair was coming out in clumps and I knew that my new lifestyle wouldn’t allow me to give my hair the TLC it needed to recover. I’ve recently realised that my big chop was exactly what I needed as I was able to not just love my hair again (which had become a red herring) but also be excited about it again. So for the most part I left it alone to just do its thing and it seems to have worked. Okay I won’t lie, as easy going as this style is, it’s not as easy going as I initially thought it would be. When I first cut my hair, I did it so I could have as much hair to donate as possible. So I got it as short as I could get it. By the end of March, I started noticing that the sides and back were now about three times longer and that changed the way I could style that area. The growth has come in a way that helps me style my fro so nicely. I definitely didn’t anticipate having to touch it up again but thinking about it now, it only makes sense to do in order to keep the tapered look. So I got it touched up a few weeks ago. Yes I cut my hair again, but only the back and sides. 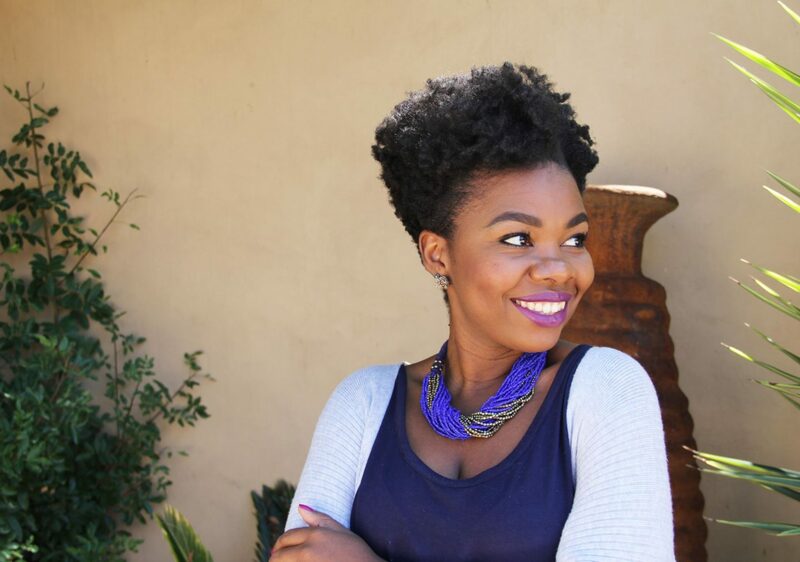 Noir Hair Studio, a brand new salon that also caters to us naturalistas, hooked me up. Look out for my salon review of it coming soon. I’m really disappointed to report that I haven’t yet donated my hair. I went ahead and prepped it for donation only to constantly hit a wall when looking for a place that actually accepts afro hair in South Africa. Can we let that sink in for a bit? 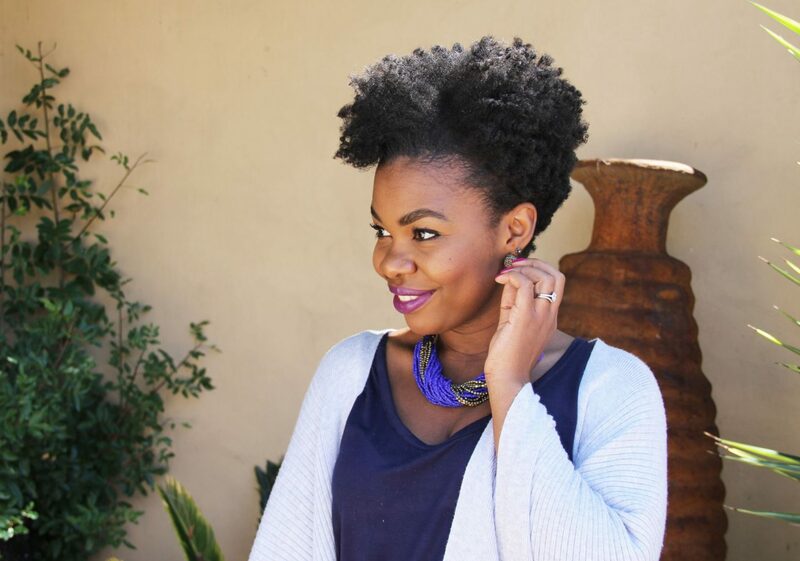 I have so far not found a place that will accept my natural African hair for hair donation, in Africa. I was so set on doing some good with my cut hair and giving it to someone who needs it. Many people laughed at me initially, wondering who on Earth would even want donated afro hair. Umm, cancer patients? Why can’t they just get normal wigs? Because there are also children who unfortunately are cancer survivors and maybe would like a more natural looking wig, something similar to their hair type. I haven’t given up though. I’d love to share with you once I have figured this out, but in the meantime, if you’re reading this and know of a reputable place for me and any other potential donor to give our hair to, please get in touch with me. Well, it’s officially winter. And as much as I’ve loved having my hair out and rocking this new shape, Fro needs to hibernate for a little while. Come to think of it, I think this may be the longest I’ve had Fro ‘free’ since I went natural. I can’t think of another time I’ve just had my hair out without putting it into some kind of protective style. I still can’t believe that it’s already been 6 months and to be honest, if it wasn’t for winter I would’ve left it alone for a little while longer. Now my hair’s health has gotten back on track, I’d like to keep it so, and I know that Fro has never been friends with the winter cold and harshness. So away she is going, only for a little while to take a much-deserved sleep under some wigs. That’s definitely my protective style of choice this winter. They’re easy to put on and so easy to take off for easy access to my hair. I’ll be either cornrowing or flat twisting my own hair underneath. Overall, I’m still keeping things very simple and that simplicity just makes so much sense for me. I feel like my hair’s fitting into my lifestyle, not the other way around. Happiness. How’s your hair doing? 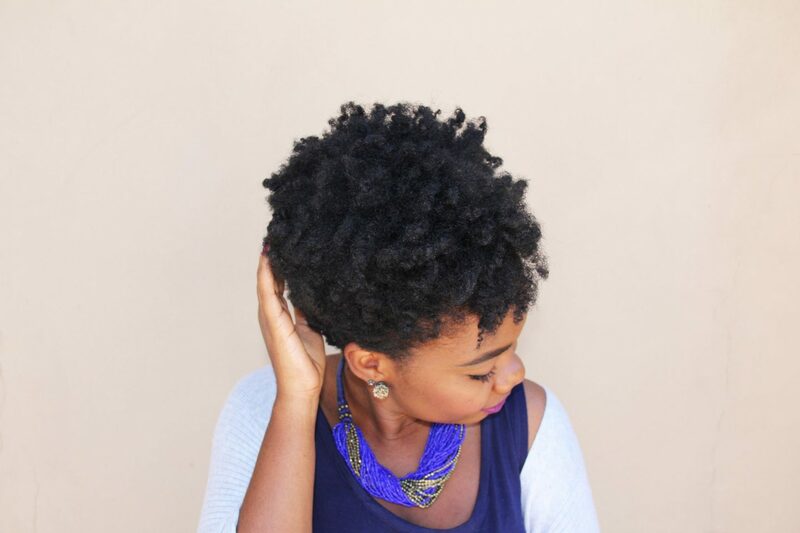 What are your winter hair plans? 2014 Protective Style 4: Braids…finally! Next Post Mom Guilt: Can We Really Have it All? Hey Aisha. At the salon that I go to there’s a lady that stitches together wigs. Perhaps you could look for someone like that where you live and then donate the wig. All the best. Hi Nyawira, thanks for the suggestion. I’d looked for that too but unfortunately, they don’t know how to prepare and treat the hair for the wig. Hi Refentse, thank you 🙂 Well, shrinkage is a good sign that your hair is healthy, so try to embrace it. Having said that, sometimes you just want to show off your length. Besides blow drying, I stretch my hair by: twisting, braiding or banding my hair overnight and taking it down the next day. I find banding is the closest I get to a blow dried look without the threat of heat damage. Hope that helps! Am an ardent reader of the blog and i honestly love the fact that you frequently post in the blog. My hair has been a little dry on the ends and it definitely needs to be trimmed. Thank you Marion. I’m so glad you enjoy my blog, much love!